It’s Sunday Funday and you’re in the mood for something zesty to kick off the day. Naturally, a Bloody Mary is the perfect option. Some folks like them spicy and others like them garnished with all kinds of goodies. Whatever your preference, you’ll find a truly delicious option at the 10 best places for a Bloody Mary in Nebraska. Satisfy your burger craving at Louie M’s Burger Lust and satisfy your tomato craving with a Bloody Mary to accompany your meal. A hidden gem, Louie’s has been around for more than a quarter of a century and dubs itself THE destination in Omaha for tasty treats. Housed in a reconstructed building from 1908, Krug Park is a restaurant that prides itself on its Bloody Mary, which is one of the first words the eye catches on its website—“beer, Bloody Marys & spirits.” Krug offers 13 different Bloody Mary flavor combinations including “Fiery Caesar,” “Red Snapper,” and “Cucumber Dill.” With that many options, it’s going to be hard to go wrong. Bison Witches offers a classic Bloody Mary that hits the spot. With a salt rim, and celery, limes, cheese and olives for garnishes, a sip of this Bloody makes you feel like you’re coming home. According to its website, Bison is known for its sandwiches, so why not make a meal of it? You won’t regret it. From its Facebook page, what’s being talked about concerning Gillies is its “best Bloody Mary.” Customers come from far away to sample the delectable tomato-infused adult beverage. What can be even better than a Bloody Mary? Drinking one in a restaurant that has friendly and efficient staff—it seems like Gillies has all three. Sunday is a day for breakfast eating. And something that goes along great with breakfast eating is Bloody Mary drinking. Enjoy Ken and Dales buttermilk pancakes (made from scratch) along with omelets or eggs made-to-order, and order a glass of Bloody Mary goodness to wash it all down. Bing’s Sports Bar lives up to its name—as in it’s a great sports bar to visit. With a relaxed atmosphere and friendly staff, pop in for a seat at the bar and enjoy a garnished Bloody Mary. You’ll almost feel like you’re in Wisconsin! Affordable, down-home, and full of “favorites,” Union Bar is saving a seat for you. 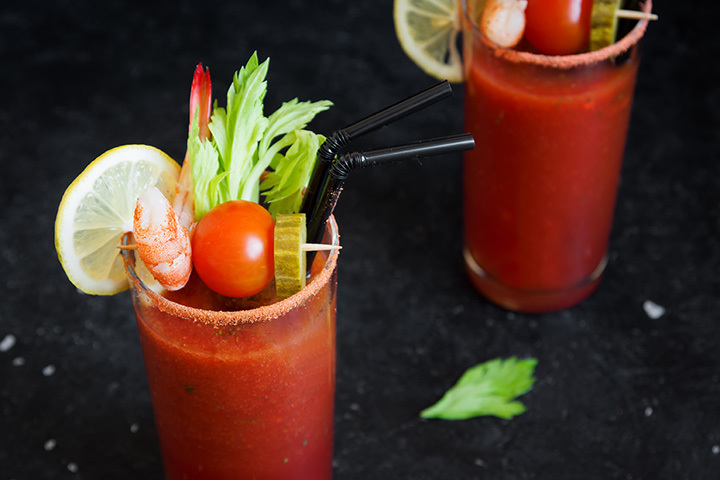 What’s something that goes with a Bloody Mary that makes it oh-so-much better? How about the Union Bar’s “Favorite Coldest Beer?” Drink it during Union Bar’s “Favorite Happy Hour.” Spicy or plain—you and your Bloody Mary will fit right in. Save room for a before-dinner, mid-dinner, or after-dinner Bloody Mary at LeadBelly! Or better yet, ask for a Bloody Maria. That’s a twist on the classic Bloody Mary. Instead of vodka, it includes tequila. How good does that sound? The Tavern on the Square not only allows you to sit at the bar and enjoy the ambiance, but it also offers full-service alcohol catering for outside events. You know what that means? Bloody Marys at your next event! Enjoy a bite of a pickle, sausage, and a cheese stick all while drinking up that Bloody Mary! After you’re finished upstairs at Buzzard Billy’s Armadillo Bar ‘N’ Grill, head down to the Starlite Lounge where you can find some of the best Bloodys in town. Friday’s are your best bet—from 5 to 7 p.m. there are free appetizers. Yes, we said free.